Thinking about a garage sale? Want to get rid of those items that are no longer loved or used? Not sure how to go about it? 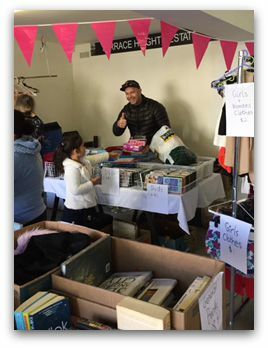 Well there’s no time like the present in my book – I believe that any time is a good time to have a garage sale these days. It’s all about advertising in the right places and being organised in advance, so that you not only make some money, but also have fun whilst doing so. There’s always someone out there looking for a bargain, no matter the time of year. 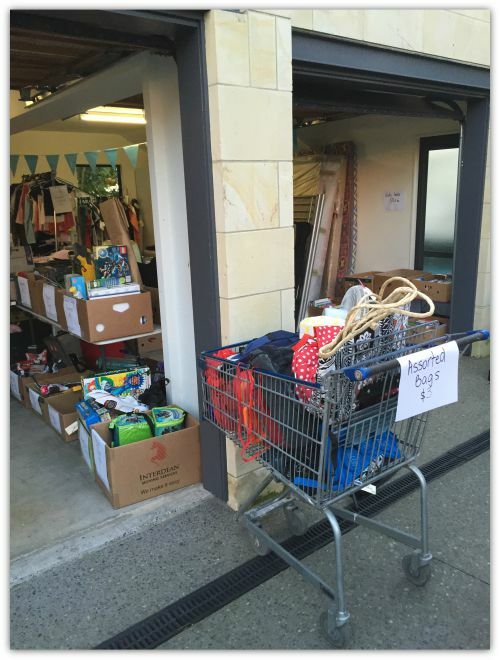 I recently helped a client put together a relatively large garage sale – a busy mum of three who travels a lot with her work, who didn’t have the time to organise one herself. Here are the steps that we took to putting one together – grab a cuppa and sit down for this, she’s a good read! The first thing we did, was organise a “Flexi Bin” from BUNNINGS (also available at THE WAREHOUSE ) which is a large orange flexible and durable bag that operates like a skip. You simply purchase the bag and when it is full you give them a call and they pick it up! It is a much easier option that having a skip and we ended up going through three of them during the process! We also bought lots of strong black rubbish bags and had many banana boxes at hand. Then the unpacking began. We had to unpack a whole heap of boxes in the garage, that hadn’t been looked at in years. 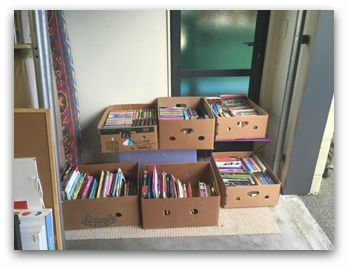 The reason behind wanting to have a garage sale, was because many of the items in the boxes were toys, clothes and games that her children had now outgrown. Here is what the garage looked like at the beginning of the process………. 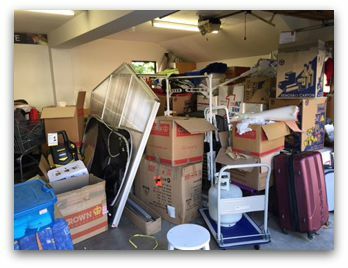 We spent time going through the boxes and making the usual decisions about the “Stuff.” However in this situation, a lot of the decisions were made slightly easier, because of the fact that we knew that many of the items had been outgrown and would definitely be garage sale items. It took a number of sessions to go through the boxes, but we got there in the end. So the next step, was to organise all of the items into their correct categories and here’s a couple of photo’s of the books, dress ups and DVDs, all grouped together. 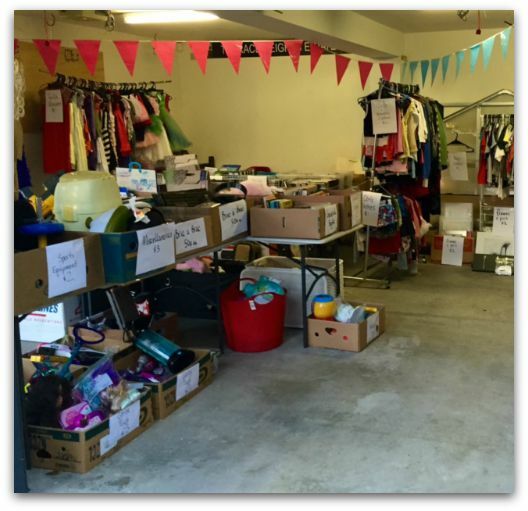 Boys clothes, girls clothes, adult clothes, boys toys, girls toys, books (broken up into categories too) bric a brac, dress-ups (boys and girls) DVDs, fabric, kids activities, sports equipment and miscellaneous. We used the banana boxes for sorting all the items. Once the items were sorted, we bought a couple of trestle tables to set them up on (once again from BUNNINGS ) we also had another trestle table and a large mirror with a stand, that we turned upside down and used as a table too. We decided we would sell the trestle tables at the end of the day, so you can recover your money back from these. I recommend getting as much as possible off the floor at your garage sale – it’s way easier for people to see and access. Bikes, chairs and the like are of course fine on the floor and if you do have an overflow, just make sure that the items are in clearly labelled boxes. Clothing racks also came in very handy (all owned by the client) and we used drying racks to hold clothes as well. You can purchase the clothing racks for next to nothing at THE WAREHOUSE, and like the trestle tables, can be sold at the end of the day too. 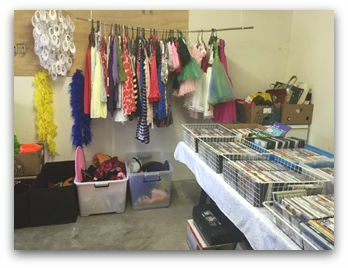 We organised all of the items into areas – boys toys in one area, girls in another, dresses in another area, etc. It makes it much easier when a buyer is trying to find an item – to me, it makes organised sense! Get creative with your area – we used the existing wall hooks to hang a piece of bamboo with rope to operate as a rail for the girls dresses. To make it fun, we bought bunting (from either LOOKSHARP or most $2 shops) and had fun upbeat music playing on the day too. Once your pricing is organised, now is a good time to make a list of all of the items and their prices, as a reference to you. The reason for this is so that when you get really busy, you can look at your list for a price when someone is asking. We had my partner Ben stand behind the DVD area, with the money, music and the list on the wall beside him, so that when people came up to him with their items, he knew how much to charge them, without having to ask us or leave his spot to go and have a look. Now it’s time to advertise! 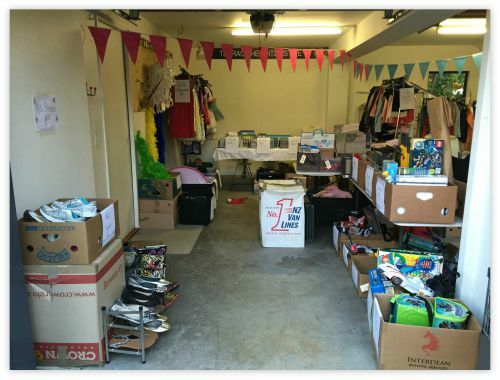 I recommend advertising with THE HERALD on the day of your garage sale and on GARAGE-SALES.CO.NZ (if you are based in Auckland) which is a free online website, purely dedicated to Garage Sale advertising. 2 weeks in advance should do it. We also advertised at the local library and community centre, about 10 days beforehand. Don’t forget to include the day, time and where! Make sure you get change! Very important as of course everyone will be paying with cash. We used a wooden box with a sliding lid for safety and only Ben (my partner in crime, pictured below!) had access to this which worked really well. 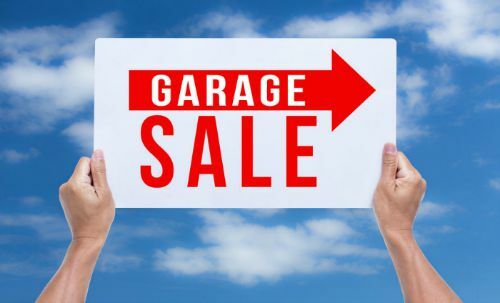 On the day of the garage sale, make sure you start a bit earlier, to put items that can be set up outside and to organise your music, money, etc. I recommend having your garage sale anytime from 7am until about 10am. Most people come first thing and it can all be over by about 9. Once the garage sale was over, we took the remaining items to charity. We sold most of the items and many people left with a bargain. Awesome, thanks for that Natalie! I’m planning to have a garage sale when we move into new in about 5 months! New house will have so much built in furniture/desks/cupboards/shelves that we’ll have heaps to sell! Plus, boys clothing and toys they’ve outgrown!!! Love the tips thankyou! I am moving to Perth from West Auckland and we are thinking of having an ‘in house’ garage sale. We do have a garage to put things in too. But are mostly selling furniture. What are your thoughts or tips you may have please? Hi we are thinking about having a sale on the first Saturday of school holidays (30 sept). Do you think it will affect attendance either way? Thanks for your post, really informative. Where do you get the price tags from the ones with string attached?